Conscious Birth offers a Baby Blessing Ceremony as a non-religious celebration of a new, precious and unique life. 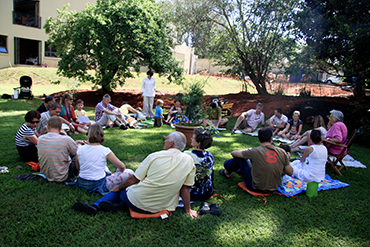 Facilitated by Theoni, a Baby Blessing Ceremony is a joyous event where you can formally welcome your child into your world of friends and family and express your hopes and intentions for your child. What to expect and benefits? Theoni works with you to create a ceremony which has meaning for your personal, cultural and spiritual beliefs. Your own community of people (family members, mentors, godparents etc) will have the opportunity to pledge their interest in the development of your child. They will also have the opportunity to make promises of love, support and guidance for your child.